The Directors present their report, together with the financial statements, on the consolidated entity consisting of Mithril Resources Limited (ASX:MTH) and the entities it controlled at the end of, or during, the half-year ended 31 December 2018. 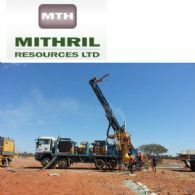 Mithril Resources Ltd (ASX:MTH) is pleased to advise that all tenements at the 100% - owned Billy Hills Zinc Project have now been granted and the Company will commence field activities (primarily geophysics and drilling) once the Northern Wet Season concludes in late March 2019. Mithril Resources Limited (ASX:MTH) provides the Company&apos;s Quarterly Report for the period ending 31 December, 2018. Mithril Resources Ltd (ASX:MTH) has completed a capital raising comprising a Placement and a subsequent fully underwritten non-renounceable pro-rata rights issue to raise a total of $1,110,231 (before costs). Mithril Resources Ltd (ASX:MTH) advises that a Positive Scoping Study has been completed for the Spargos Reward Gold Deposit by Perth-based public unlisted company Corona Minerals Limited, Mithril&apos;s exploration partner at Spargos Reward. Mithril Resources Limited (ASX:MTH) provides the Company&apos;s Capital Raising Presentation. Mithril Resources Ltd (ASX:MTH) is pleased to advise that it is conducting a capital raising comprising a Placement and a subsequent fully underwritten non-renounceable pro-rata rights issue to be offered to eligible shareholders to raise a total of $1,110,231 (before costs). Mithril Resources Limited (ASX:MTH) provides the Company&apos;s 2018 AGM Presentation. Mithril Resources Limited (ASX:MTH) provides the Company&apos;s Chairman Address to the 2018 Annual General Meeting. Mithril Resources Limited (ASX:MTH) provides the Company&apos;s Quarterly Report for the period ending 30 September 2018. Mithril Resources Limited (ASX:MTH) provides the Company&apos;s latest Investor Update Presentation. 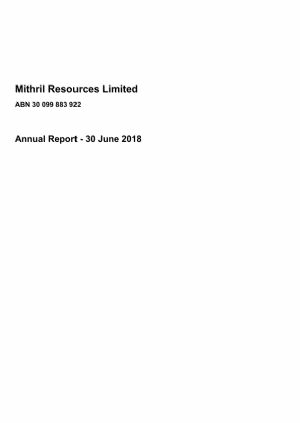 Mithril Resources Limited (ASX:MTH) provides the Company&apos;s 2018 Annual Report. Mithril Resources Ltd (ASX:MTH) is pleased to advise that multiple targets have been prioritised for follow-up on its new 100% - owned Bangemall Base Metal Project. 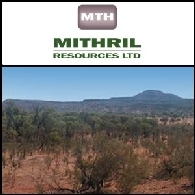 Mithril Resources Ltd (ASX:MTH) is pleased to advise that two tenements (EL&apos;s 04/2497 and 2503) at its 100% - owned Billy Hills Zinc Project (located adjacent to the former Pillara Zinc Mine, 25 kms southeast of Fitzroy Crossing in the West Kimberley region of Western Australia) have been granted and four initial targets have been prioritised for field follow-up. Mithril Resources Ltd (ASX:MTH) is pleased to advise that the recently completed work program at its 100% owned Kurnalpi Nickel Project (located 70 kms north east of Kalgoorlie, WA) has identified strongly elevated copper-cobalt within a new target position and strengthened the Company&apos;s understanding of the project&apos;s nickel sulphide prospectivity. Mithril Resources Ltd (ASX:MTH) is pleased to advise that it has executed a Farm-in and Joint Venture Agreement with Monax Mining Ltd (ASX:MOX) whereby Monax is entitled to earn up to an 80% interest in Mithril&apos;s Limestone Well tenements (EL&apos;s 20/846 and 51/1069) by completing exploration expenditure of $2.5M over 5 years. 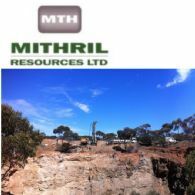 Mithril Resources Ltd (ASX:MTH) advises that a Reverse Circulation drilling program to test a strong off hole EM conductor at its 100% owned Kurnalpi Nickel Project (located 70 kms north east of Kalgoorlie, WA) has commenced. Mithril Resources (ASX:MTH) and its exploration partners are exploring for a range of high-value commodities throughout the Meekatharra, West Kimberley and Kalgoorlie Districts of Western Australia, and the Coompana Province of South Australia. 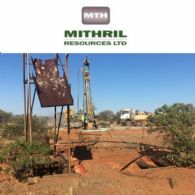 Mithril Resources Ltd (ASX:MTH) advises that a Reverse Circulation drilling program to test a strong off hole EM conductor at its 100% owned Kurnalpi Nickel Project (located 70 kms north east of Kalgoorlie, WA) is scheduled to commence during the first week of August 2018. Mithril Resources Ltd (ASX:MTH) is pleased to advise that it has received firm commitments to raise $428,732 through a share placement pursuant to Section 708 of the Corporations Act at the same issue price to the recently completed Share Purchase Plan, being $0.0107 (1.07 cents) per share. Mithril Resources Ltd (ASX:MTH) is pleased to announce its Share Purchase Plan closed oversubscribed on 18 June 2018 raising $394,793 (after scale back). 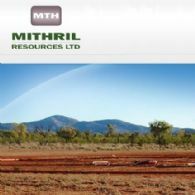 Mithril Resources Ltd (ASX:MTH) advises that it has received formal notification from Chesser Resources Ltd (ASX:CHZ) that it intends to withdraw from an existing Farm-In Agreement (effective date - 11 July 2018) on selected tenements at Mithril&apos;s Kurnalpi Nickel Project (located 70 kms north east of Kalgoorlie, WA). Mithril Resources Limited (ASX:MTH) provides the Company&apos;s latest Investor Presentation June 2018. 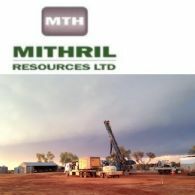 Mithril Resources Ltd (ASX:MTH) is pleased to advise that it has applied for a new 100% - owned Exploration Licence (EL09/2315 - Genoa Bore Copper Zinc Project) that lies west of Galena Mining Limited&apos;s Abra Deposit within a similar geological setting (located 300 kms north west of Meekatharra, WA). 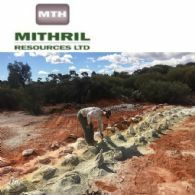 Mithril Resources Ltd (ASX:MTH) has prioritised two nickel targets on its 100%-owned Kurnalpi Project (located 70 kms north east of Kalgoorlie, WA) for drill testing and ground EM geophysical surveying. Your Director&apos;s are pleased to invite you to participate in the Mithril Resources Ltd (ASX:MTH) Share Purchase Plan that closes on 18 June 2018. Under the SPP, you may subscribe for up to A$15,000 worth of fully paid ordinary shares in the Company without incurring brokerage or other transaction costs. 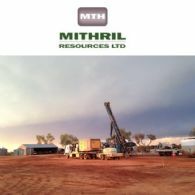 Mithril Resources Ltd (ASX:MTH) is pleased to announce that it has been successful in its application to participate in the Federal Government&apos;s Junior Minerals Exploration Incentive scheme and has been allocated credits of up to $227,796 which can be distributed to eligible shareholders. Mithril Resources Ltd (ASX:MTH) is pleased to announce a capital raising by way of a Partly Underwritten Share Purchase Plan. Mithril Resources Limited (ASX:MTH) provides the Company&apos;s Strategy Update Presentation. 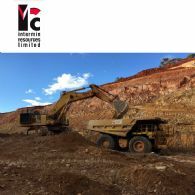 Intermin Resources Limited (ASX:IRC) provides the following joint venture update from Intermin&apos;s 100% owned JV project areas in Western Australia and Queensland. In total, the JV project areas cover over 2,000km2 of prospective tenure and hosts mineralisation including gold, vanadium, molybdenum, copper, nickel, Platinum Group Elements and zinc. Mithril Resources Ltd (ASX:MTH) is pleased to advise that it has significantly expanded the size of its Kalgoorlie District nickel - prospective landholding to over 500km2 with the application for two new tenements (EL&apos;s 29/1042 and 1043). Mithril Resources Ltd (ASX:MTH) is pleased to advise that further high-grade nickel-cobalt mineralisation and multiple zones of disseminated nickel sulphide mineralisation have been intersected in its first drilling program at the 100%-owned Kurnalpi Nickel-Cobalt Prospect (located 70 kms north east of Kalgoorlie, WA). The Directors of Mithril Resources Ltd (ASX:MTH) present their report together with the financial statements of the consolidated entity, being Mithril Resources Ltd and its controlled entities for the half year ended 31 December 2017 and the Independent Auditor&apos;s Review Report thereon. Intermin Resources Limited (ASX:IRC) present their report on the consolidated financial statements for the half-year ended 31 December 2017. Mithril Resources Limited (ASX:MTH) provides the Company&apos;s latest Investor Presentation. 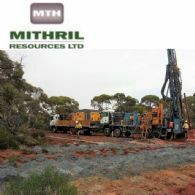 Mithril Resources Ltd (ASX:MTH) is pleased to advise that a 900-metre Reverse Circulation drilling program is underway at 100%-owned Kurnalpi Nickel-Cobalt Prospect (located on EL28/2567 approximately 70 kms north east of Kalgoorlie, WA). 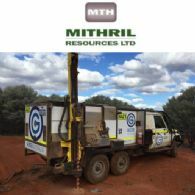 Mithril Resources Ltd (ASX:MTH) is pleased to advise that an electromagnetic geophysical survey at its 100%-owned Kurnalpi Nickel-Cobalt Prospect (located on EL28/2567 approximately 70 kms east of Kalgoorlie, WA) has identified multiple bedrock conductors. 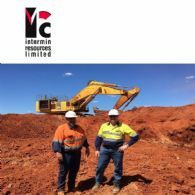 Intermin Resources Limited (ASX:IRC) provides the December 2017 Quarterly Activities Report. 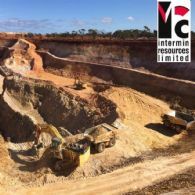 Intermin is a gold exploration and development company with a key focus in the Kalgoorlie region of Western Australia. Mithril Resources Limited (ASX:MTH) provides the Company&apos;s Quarterly Activity Report for the period ending 31 December, 2017. Mithril Resources Ltd (ASX:MTH) is pleased to advise that follow-up exploration activities at its 100%-owned high-grade nickel-cobalt Kurnalpi target (located approximately 70 kms east of Kalgoorlie, WA) will commence next week. Mithril Resources Ltd (ASX:MTH) wishes to advise that it has received firm commitments to raise $641,218 (before costs) through a share placement pursuant to Section 708 of Corporations Act. 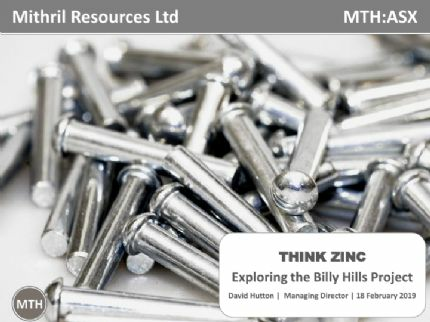 Mithril Resources Ltd (ASX:MTH) is pleased to advise that a review of historic drilling data has identified a major new target zone at its 100% - owned Billy Hills Zinc Project which adjoins the Pillara Zinc Mine in the West Kimberley region of Western Australia. 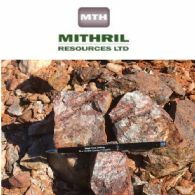 Mithril Resources Ltd (ASX:MTH) is pleased to advise that a review of historic drilling data has identified a high-grade nickel-cobalt target at its 100%-owned tenement (EL28/2567) which is located at Kurnalpi, approximately 70 kms east of Kalgoorlie, WA. Mithril Resources Ltd (ASX:MTH) provides an update on its current exploration activities including the recent drilling programme at the Kombi and Fenceline prospects (located approximately 70 kms southeast of Meekatharra, WA). As previously announced, at the Annual General Meeting on 15 November 2017, the shareholders of Mithril Resources Limited (ASX:MTH) approved a ten for one consolidation of the Company&apos;s shares and options. Mithril Resources Limited (ASX:MTH) provides the Company&apos;s 2017 AGM Chairman&apos;s Address and Managing Director&apos;s Presentation. 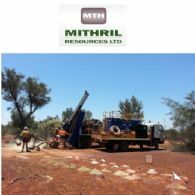 Mithril Resources Ltd (ASX:MTH) is pleased to advise that a 1,000-metre Reverse Circulation drilling program is underway at the Kombi and Fenceline Gold Prospects (located approximately 70 kms southeast of Meekatharra, WA). 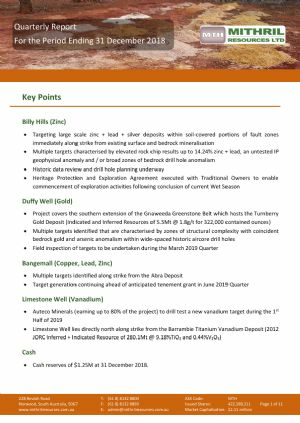 Mithril Resources Limited (ASX:MTH) provides the Company&apos;s latest presentation on Gold Zinc Copper - Exploration Update. Mithril Resources Ltd (ASX:MTH) is pleased to advise that it will undertake a 1,000-metre Reverse Circulation drilling program targeting further high-grade gold at the Kombi and Fenceline Gold Prospects (located approximately 70 kms southeast of Meekatharra, WA). 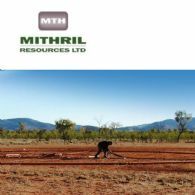 Mithril Resources Limited (ASX:MTH) provides the Company&apos;s Quarterly Activities and Cashflow Report for the period ending 30 September, 2017. Mithril Resources Limited (ASX:MTH) provides the Company&apos;s 2017 Annual Report. Mithril Resources Ltd (ASX:MTH) is pleased to advise that a recent drilling programme at the Kombi Gold Prospect (located approximately 70 kms southeast of Meekatharra, WA) has successfully intersected high-grade gold mineralisation at approximately 17m metres vertical depth. 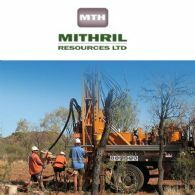 Mithril Resources Ltd (ASX:MTH) is pleased to advise that a drilling programme is underway at the Kombi Gold Prospect, approximately 70 kms southeast of Meekatharra, WA. Mithril Resources Limited (ASX:MTH) provides the Company&apos;s Full Year Statutory Accounts for the year ended 30 June 2017. Mithril Resources Ltd (MTH:ASX) wishes to advise that it has received firm commitments to raise $254,431 (before costs) through a share placement pursuant to Section 708 of Corporations Act. 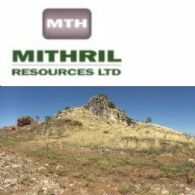 Mithril Resources Ltd (ASX:MTH) is pleased to advise that it has successfully applied for a new 100% - owned Exploration Licence (E04/2497 - "Billy Hills Project") adjoining the Pillara Zinc Mine, 25 kms southeast of Fitzroy Crossing in the West Kimberley region of Western Australia. Mithril Resources Ltd (ASX:MTH) is pleased to advise that a newly completed review of previous exploration data has identified a new gold prospect (called "Kombi") on its Murchison Project, approximately 70 kms southeast of Meekatharra, WA. Mithril Resources Ltd (ASX:MTH) is pleased to advise positive assay results have been received from diamond drilling recently carried out at the Nanadie Well Deposit and adjacent Stark Prospect which are both located on the Company&apos;s Murchison Project located 80 kms SE of Meekatharra, Western Australia. Mithril Resources Limited (ASX:MTH) and its exploration partners are exploring for gold, nickel and copper throughout the Kalgoorlie and Meekatharra Districts of Western Australia, and the Coompana Province of South Australia. Mithril Resources Limited (ASX:MTH) is pleased to advise that recent rockchip sampling has identified a new gold prospect on its 100% - owned Willow Well tenement (EL51/1615), approximately 70 kms southeast of Meekatharra, WA. Mithril Resources Limited (ASX:MTH) is pleased to advise that diamond hole NDD17002 has intersected 30 metres of disseminated, blebby, matrix, semi-massive and massive copper (chalcopyrite) and iron (pyrrhotite) sulphide mineralisation from 248 metres downhole, at the modelled conductor depth. Mithril Resources Limited (ASX:MTH) is pleased to provide an exploration update for the Mexi Nickel Prospect and the Nanadie Well Project (located 50 kilometres north-northeast of Kalgoorlie and 80 kilometres southeast of Meekatharra, WA respectively). Mithril Resources Limited (ASX:MTH) is pleased to provide the Company&apos;s latest presentation at South Australia Resources and Energy Investment Conference. Mithril Resources Limited (ASX:MTH) advises that a maiden 2012 JORC Code compliant Indicated and Inferred Mineral Resource of 1.01Mt @ 3.9g/t gold (126Koz contained gold) has been estimated for the Spargos Reward Gold Deposit by independent mining consultants Al Maynard and Associates Pty Ltd on behalf of Corona Minerals Limited, Mithril&apos;s exploration partner at Spargos Reward. Mithril Resources (ASX:MTH) and its joint venture partners are exploring for gold, nickel and copper throughout the Kalgoorlie and Meekatharra Districts of Western Australia, and nickel-copper-PGE&apos;s throughout the Coompana Province of South Australia. 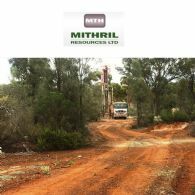 Mithril Resources Ltd (ASX:MTH) is pleased to advise that a drilling program is underway at the 100% owned Mexi nickel sulphide prospect located 50 kilometres north-northeast of Kalgoorlie Western Australia. Mithril Resources Ltd (ASX:MTH) advises that the Geological Survey of South Australia and Geoscience Australia have commenced a regional diamond drilling program at Coompana which is located in South Australia&apos;s far west. Mithril Resources Limited (ASX:MTH) is pleased to advise that it will shortly resume drilling at the 100% owned Mexi nickel sulphide prospect (located 50 kilometres north-northeast of Kalgoorlie Western Australia). Mithril Resources Limited (ASX:MTH) is pleased to advise that a review of previously completed drill hole sampling has highlighted the cobalt potential of the Nanadie Well Copper Deposit which is located 80 kilometres southeast of Meekatharra, Western Australia. Mithril Resources Ltd (ASX:MTH) are pleased to provide an exploration updated and presentation across the Company&apos;s base metal exploration projects including, Mexi Nickel Prospect, Stark Copper Prospect, Coompana Project and the Basil Copper Cobalt deposit. Asian Activities Report for June 3, 2011 includes: Mithril Resources Limited (ASX:MTH) has extended the Basil Copper Prospect at its Huckitta Project to a total mineralised strike length of over 2.6 km; UXA Resources Limited (ASX:UXA) announced very encouraging high grade lead-zinc-silver assay results from the Dome 5 prospect in NSW; General Mining Corporation Limited (ASX:GMM) is to commence drilling at the Uvs Basin project in Mongolia between July and August; Definitive Feasibility Study on Sandfire Resources NL&apos;s (ASX:SFR) DeGrussa Copper-Gold Project in Western Australia has confirmed the project&apos;s robust nature. 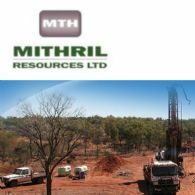 Mithril Resources Limited (ASX: MTH) - AGES 2007 NT Seminar: Overview of NT Exploration Projects - Mr Jim McKinnon-Mathews, Senior Exploration Geologist; Boardroomradio is pleased to announce that Mithril Resources Limited (ASX: MTH) has published an audio file. FerrAus Limited is pleased to advise of further developments on its 100% owned Silver Swan North nickel tenements in Western Australia as advised by Mithril Resources Limited (ASX: MTH) ("Mithril") as farminee to FerrAus over that project.